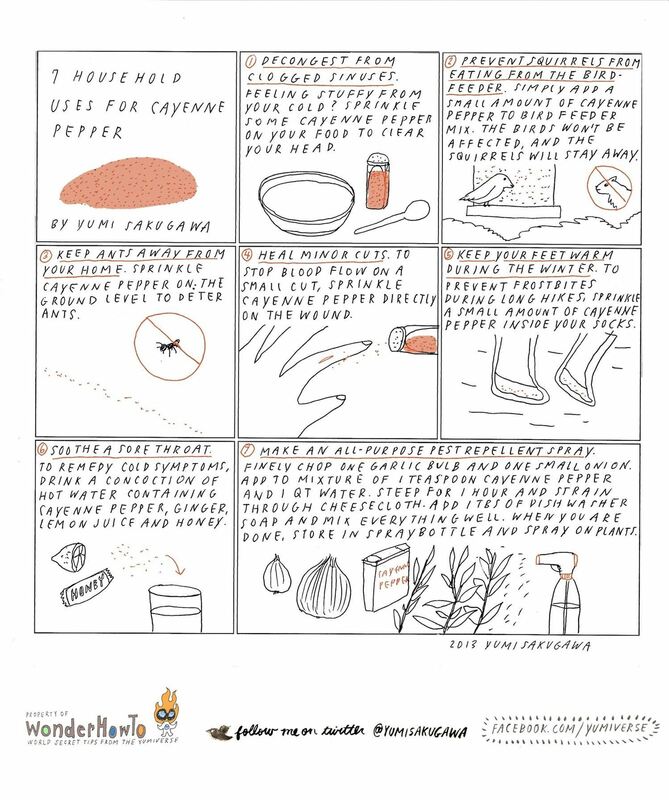 Cayenne peppers are great for spicing up your bland cooking, but did you know that they can also prevent frostbite? If you ever need to keep your feet warm during a long snow hike or skiing adventure, add a little bit of cayenne pepper powder to the bottom of your socks. More than adding a little spicy burn to your taste buds, cayenne pepper is also useful for decongesting clogged sinuses, preventing squirrels from invading bird feeders, keeping ants away from the kitchen, healing minor cuts, and repelling pests from eating your garden. Got your own favorite uses for cayenne pepper? Share with us!